Many DJs have reputations defined by a certain place and time. Not so for Derek Plaslaiko, whose 20-year career behind the decks has seen him gather a loyal fan base wherever and whenever he may be. 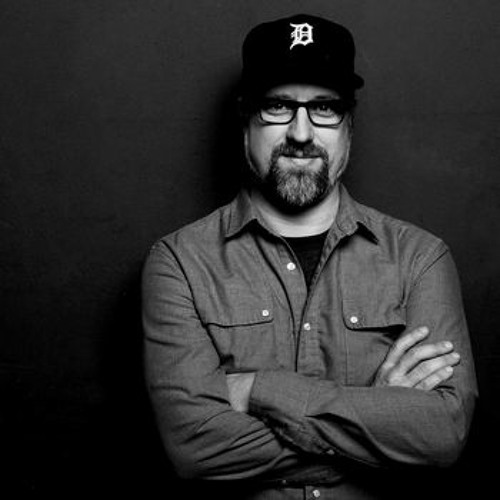 Some will know Derek as a favorite of the mid-90s Detroit warehouse scene, which lead by a personal invite from Carl Craig to appear at the inaugural Detroit Electronic Music Festival in 2000. Others recognize him from his near decade-long residency at New York’s Bunker parties, during which time he was named “Best Techno Party DJ” by the Village Voice in 2006. Then there was the summer of 2011 spent behind the decks at Berlin’s infamous Club der Visionaere, as an honorary resident at the weekly Visionquest nights—a worthy introduction to the city he now calls home. Of late, there is a new generation of party people who will know Plaslaiko from his extended sets (up to 12 hours) in New York, Paris, Seattle, Los Angeles and Philadelphia, or his regular appearances at clubs like Tresor, Hot Mass, Beta, Output, Smart Bar and Berghain, and festivals like Decibel, Communikey and Movement. Or some who caught his name on the flier for the No Way Back series of parties put on by Interdimensional Transmissions, the Detroit imprint that has put out several of Plaslaiko’s rare original releases, along with Perc Trax and Minus. There are tens of thousands of others who caught on to Plaslaiko following his record-breaking 12-hour Boiler Room set, where he gave viewers a look into his living room, while friends and friend’s toddlers enjoyed the day. This landmark session properly archived the full Plaslaiko musical experience, from flawless house and techno, to hip-hop, classic rock, and whatever other musical moment this life-long record obsessive chooses to share. And let’s not forget the thousands of folks who have befriended Plaslaiko while sharing the dance floor with this committed clubber who refuses to hang out in the booth and will always skip the DJ dinner in favor of catching one of his peers behind the decks. Wherever one picks up Plaslaiko’s story, maybe during his days dealing discs in Detroit’s famed Record Time dance room or possibly the years spent moving serious weight at Watts and Syntax Distribution, the one constant is top-shelf musical taste, as defined by Plaslaiko’s personal heroes—names like Laurent Garnier, Daniel Bell and Zip, and colleagues including Carlos Souffront, Jason Kendig and Mike Servito—and a passion for music that over-rides the usual trappings of the modern DJ industry. This may mean to some that Plaslaiko is still unsung. But for those who know better (and there are many all over the world), praise for Derek has been sung for decades.